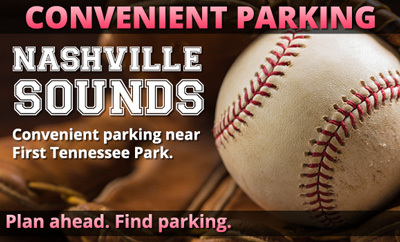 Parking.com has convenient parking for Nashville Sounds home games at First Tennessee Park. Refer to the map for more information on game day parking. The Nashville Sounds are the Triple-A affiliate of the Oakland Athletics. The team plays for the Pacific Coast League of Minor League Baseball. Home games are played at Nashville's First Tennessee Park.